A batch-made, grain-neutral spirit distilled with a clean yet robust blend of 11 botanicals, that macerate together for 3 days before distillation. Letherbee is the dreamchild of Brenton Engel, a Chicago bartender whose love of distilling Moonshine led him to join two cohorts: Ian Van Veen and Nathan Ozug, bartenders as well. The main aim of the distillery has always been to create high quality, small-batch spirits that satisfy on a number of levels, both for drinkers and drink-makers, inspired by the Letherbee trio’s own experiences on both sides of the bar. This micro-distillery isn't following trends— it's aiming to set them. 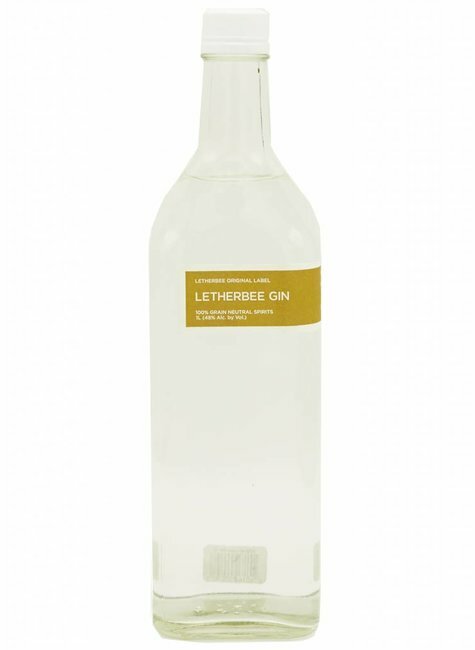 Few gins unfold like Letherbee's flagship tipple — a batch-made, grain-neutral spirit distilled with a clean yet robust blend of 11 botanicals, that macerate together for 3 days before distillation. Juniper berries spearhead a mélange of spices, including coriander, cardamom, and cinnamon, while cubeb berries evoke a touch of pepper and a hit of ginger in the finish. Dried lemon peel and orange pith lend the dry, balanced concoction a bit of room for keen drinkers to pick up subtle notes of licorice and almond. At 96 proof, Letherbee Gin shines in all contexts, whether sipped straight, louched with a few drops of water until slightly cloudy, or mixed in a refined cocktail.